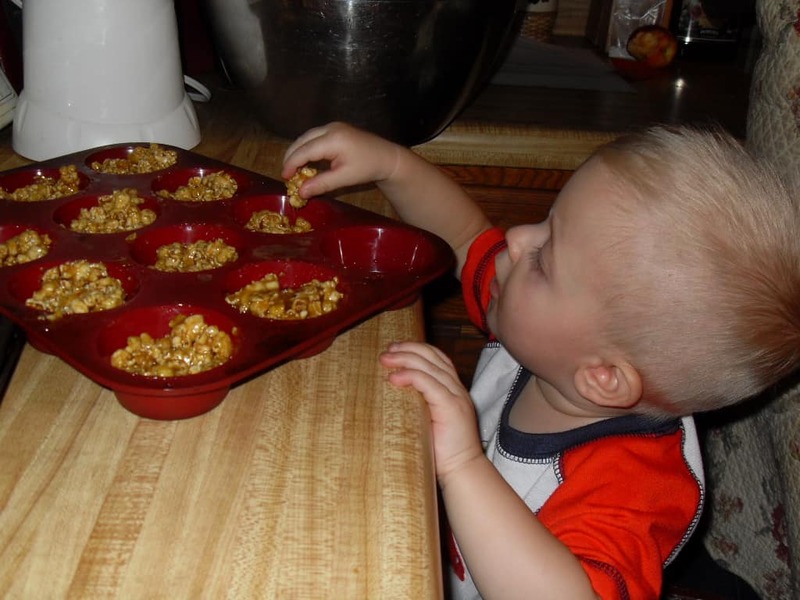 Ever since I discovered (and reinvented) this recipe for salted caramel popcorn balls a few years ago, making these sticky, sweet, and slightly salty treats has become a seasonal tradition for my kids and me! There’s just something about chilly mornings, blustery days, and long, cozy evenings that sort of calls for sticky, chewy popcorn balls, don’t you think? These are surprisingly simple to make and sooooo delicious. They have an awesome caramely-sweet-crunchy taste. Perfect for an autumn snack, holiday gift baskets, or even fund raisers! AND, since this recipe doesn’t use corn syrup (I try to stay away from that ingredient) they’re even healthy to boot. Food always tastes better (1) when you wear a pretty apron, and (2) when you have cute helpers. I buy organic popping corn in bulk from Azure Standard. We enjoy it as an evening snack A LOT! 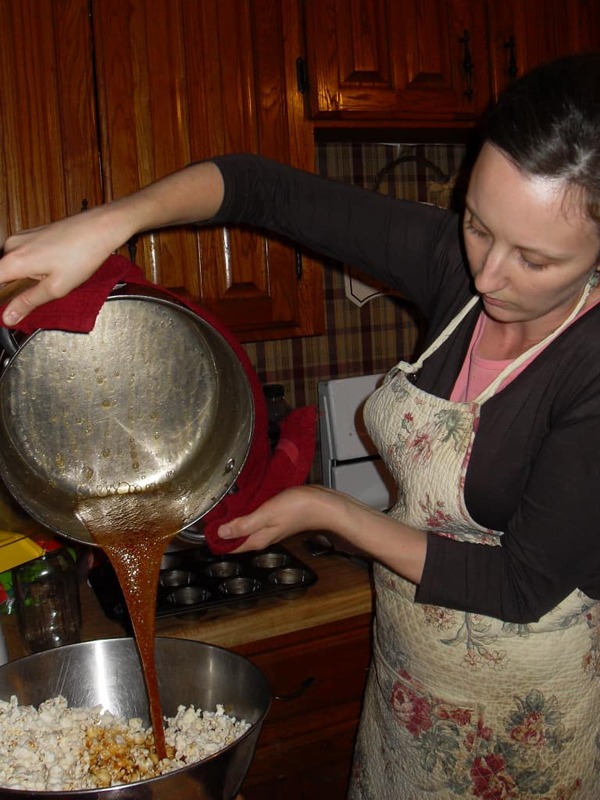 Learning how to make a rich, caramel-y sauce without corn syrup was an exciting discovery for me! 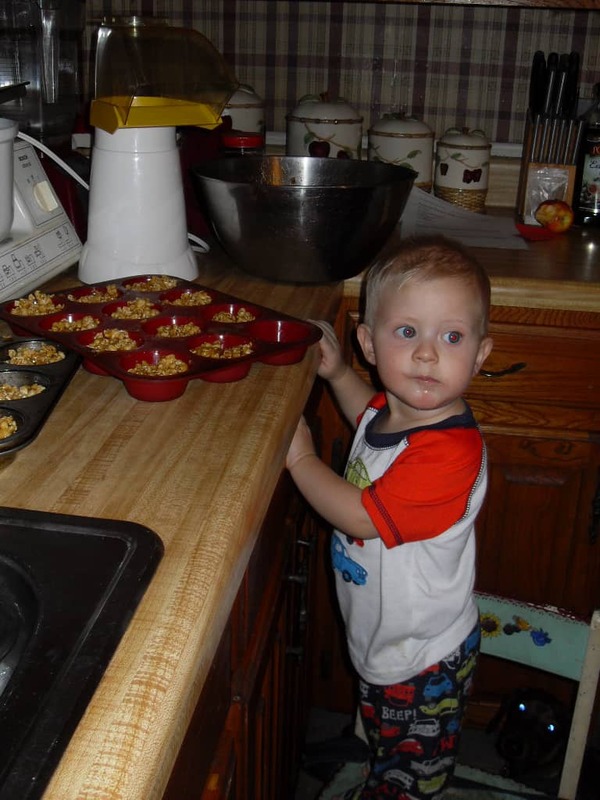 Place popped corn and nuts in a large bowl; stir and set aside. 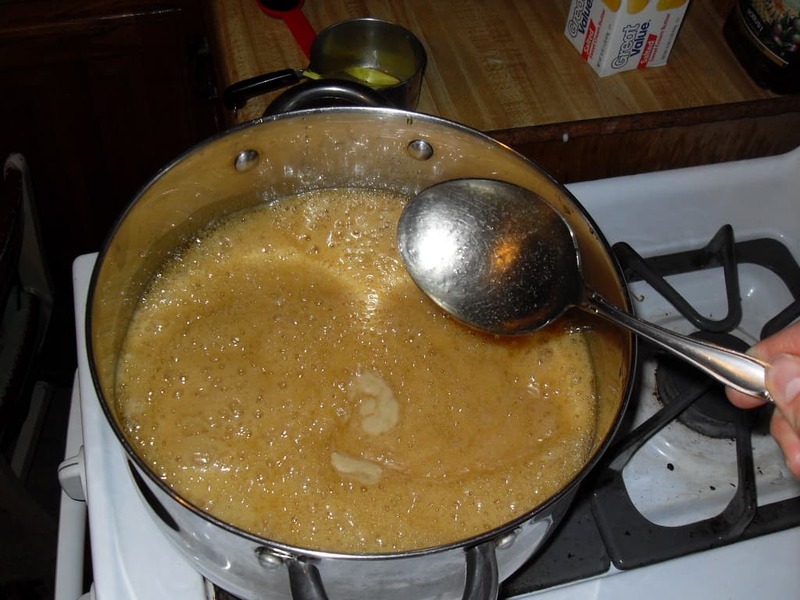 Remove pan from heat and pour mixture over popcorn and nuts; stir with a wooden spoon until completely coated with “caramel” mixture. To shape into balls: With an ice cream scoop, spoon hot popped corn into greased muffin cups (it’s WAY too hot to candle with your hands). Repeat until all muffin cups are full. Recipe should yield enough mixture to make one dozen balls. 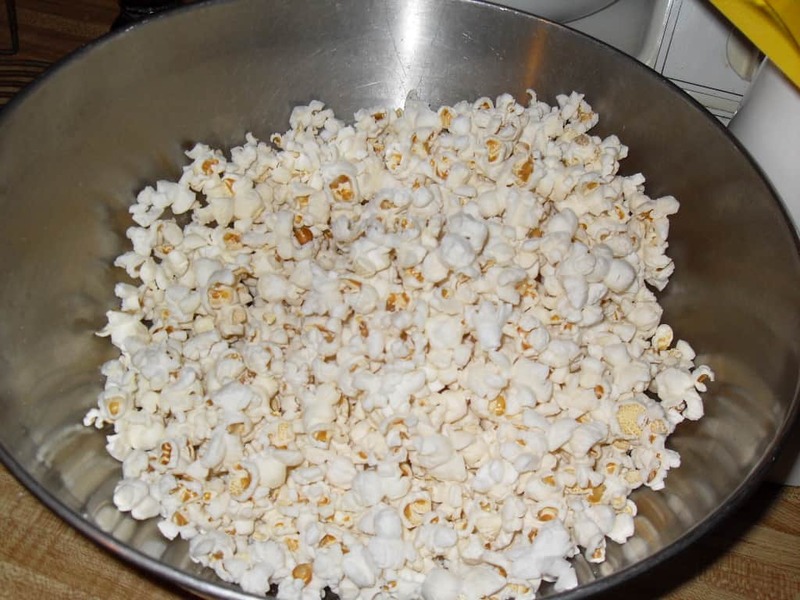 Let popcorns balls cool until set, about 10 to 15 minutes. 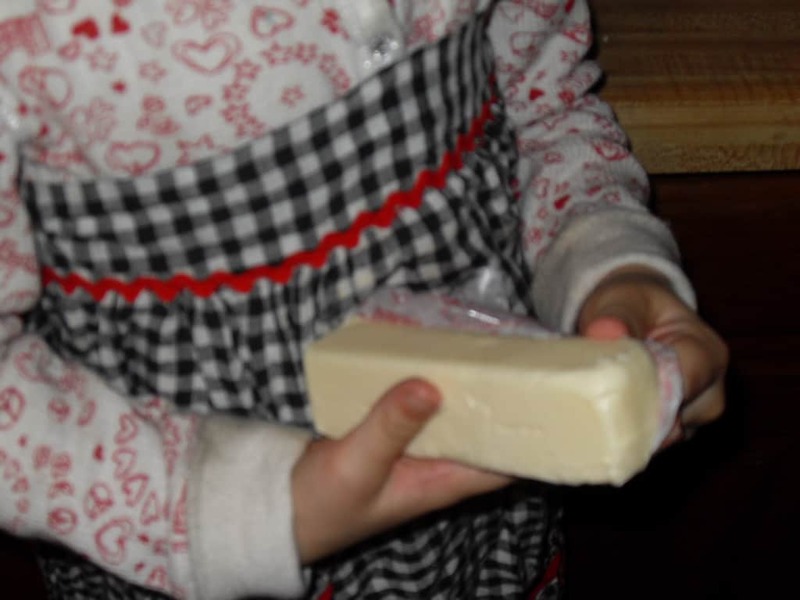 To remove, slide the flat side of a butter knife around the edges of the balls and gently lift. We love homemade goodies around here! Oh yummy! We loved caramel-ly popcorn! Will have to give these a try soon, I am sure my kids would adore them. Yay!!!!! Thank you!!! My little one is allergic to corn syrup and I will definitely try this. Looks very yummy! Thanx so much for the corn syrup free recipe! can’t wait to try it. 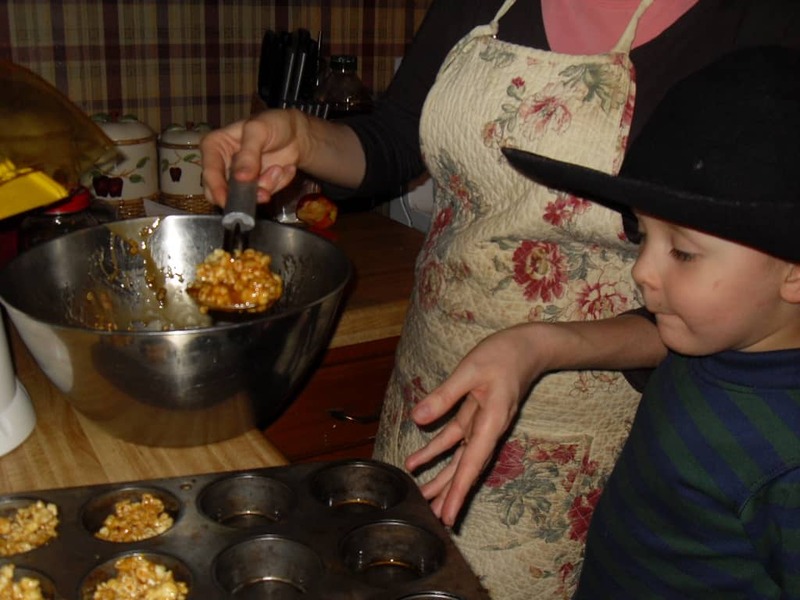 We make carmel corn often, but didn’t have a recipe w/o corn syrup. Great to know about brown rice syrup, didn’t know. Thanx! I added a 2 inch piece of finely grated ginger in the sauce and on the popcorn and spices,1 tsp cinnamon, 1/4 tsp allspice and 1/8 tsp nutmeg in the sauce for gingerbread popcorn balls and they are delicious! It made 36 mini muffin tin balls and 6 big muffin tin balls!